News For The Heart: Laurie Huston & Chris Papadopoulos Discuss Masks! 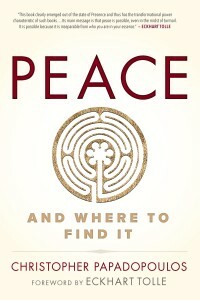 Today at noon EST, Laurie Huston from News the Heart is talking with Christopher Papadopoulos a New Author: Peace and Where to Find It. This is our 6th interview in our series of interviews on this amazing book, this interview focuses on our Masks. We discuss how we wear masks so much we have forgotten our authentic selves, and how there are times such as Halloween, vacations and alcohol where we have the courage to be our ‘authentic selves’. We have included a fabulous meditation to assist in this process of becoming our ‘authentic self’. Realizing that a world of peace and harmony begins within the individual, Chris embarked on an inner journey toward greater self-awareness. In 2003, he experienced a permanent shift in consciousness from anxious thoughts about himself to the peace we discover when we are in touch with our authentic being. Join us for this fascinating discussion! We’re Getting to the Heart of what Matters! Christopher lives near Montreal, Canada, the city in which he was born. He holds bachelor degrees in education and history from Queen’s University in Kingston, Ontario, and has served as both a primary and high school teacher. Based on his desire to help create a better world, in 1993 he ran for parliament in the Canadian federal elections. Realizing that a world of peace and harmony begins within the individual, he then embarked on an inner journey toward greater self-awareness. In 2003, he experienced a permanent shift in consciousness from anxious thoughts about himself to the peace we discover when we are in touch with our authentic being. 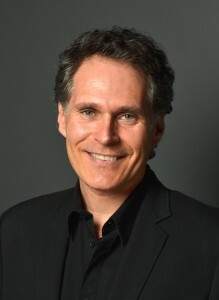 Since that time, Christopher has worked with individuals and groups, guiding others to experience peace through the process of his own self-discovery. This entry was posted in Archives and tagged Christopher Papadopoulos, Clearing and Healing Techniques, free meditation, Intuitive Counseling, intuitive counselor, Laurie Huston, masks, News for the Heart, News for the Heart Radio, Peace and Where to find it. Bookmark the permalink.